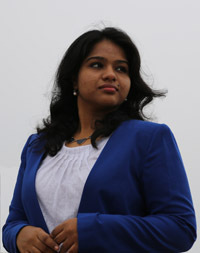 Chethana Sridharan is an Image Consultant and a soft skills trainer. She is the founder and Lead Image Consultant of Chisel Image Consulting and has been trained by the Conselle Institute of Image Management. She is an engineer by education, with a major in Information Technology. Early in her career, Chethana realized the importance of communication to excel in every role of life. She found her calling in Image Consulting, after which she has worked with people from different walks of life and diverse backgrounds, to help them find confidence through Image Management. She is passionate about writing and social media. Always active and bubbling on her various social media accounts, she makes sure she leaves no stone unturned in helping her clients.